Now in its 46th season, Garth Fagan Dance is “unfailingly original” deemed the The New York Times, which also named the Company’s piece, Mudan 175/39, third of the top six dance watching moments of 2009. Tony award-winning choreographer Garth Fagan’s dancers communicate with unbridled energy the depth, precision, and grace of Fagan’s work. The Company’s “fearless” dancers are "able to sustain long adagio balances, to change direction in mid-air, to vary the dynamic of a turn, to stop on a dime," wrote David Vaughan in Ballet Review. Fagan’s ever-evolving dance language draws on many sources: sense of weight in modern dance, torso-centered movement and energy of Afro-Caribbean, speed and precision of ballet, and the rule breaking experimentation of the post-moderns. Critics have called Garth Fagan “a true original,” “a genuine leader,” and “one of the great reformers of modern dance.” Fagan is the founder and artistic director of the award-winning and internationally acclaimed Garth Fagan Dance, now celebrating its 45th Anniversary season. 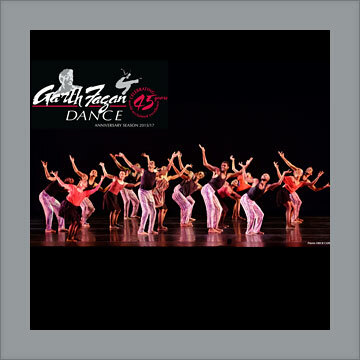 Garth Fagan continually renews his own distinctive dance vocabulary, which draws on many sources: sense of weight in modern dance, torso- centered movement and energy of Afro-Caribbean, speed and precision of ballet, and the rule breaking experimentation of the post-moderns. “Originality has always been Mr. Fagan’s strong suit, not least in his transformation of recognizable idioms into a dance language that looks not only fresh but even idiosyncratic,” writes Anna Kisselgoff of The New York Times. For his path-breaking choreography for Walt Disney’s The Lion King, Fagan was awarded the prestigious 1998 Tony Award for Best Choreography. He also received the 1998 Drama Desk Award, 1998 Outer Critics Circle Award, 1998 Astaire Award, 2000 Laurence Olivier Award, 2001 Ovation Award, and the 2004 Helpmann Award for his work on the Broadway musical, which opened in fall 1997 to extraordinary critical praise. The Company has been cited for its excellence and originality with a New York Governor's Arts Award and has claimed five winners of "Bessie" Awards (New York Performance Awards): Garth Fagan, Steve Humphrey, Norwood Pennewell, Natalie Rogers and Sharon Skepple. The troupe has performed throughout the United States, Europe, Africa, Asia, the Near and Middle East, North and South America, New Zealand, Australia and the West Indies. Foreign tours have included a 13-city tour of The Netherlands; appearances at France's Maison de la Danse and Chateauvallon Festival; Turkey's Istanbul Festival; the New Zealand International Arts Festival; Germany's Internationales Tanzfest N.R.W. ; Switzerland's Basel Tanz; the Israel Festival in Jerusalem; the Vienna Festival-Tanz; a tour to Harare, Zimbabwe with the United States Information Agency; and the Festival of Two Worlds in Spoleto, Italy. 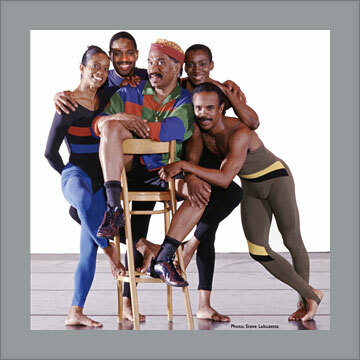 Domestically, the Company has performed at such venues as Jacob's Pillow, Spoleto USA, Dance/Aspen, and the first National Black Arts Festival. Performances in New York City venues include Brooklyn Academy of Music, City Center and frequent seasons at the Joyce Theater.